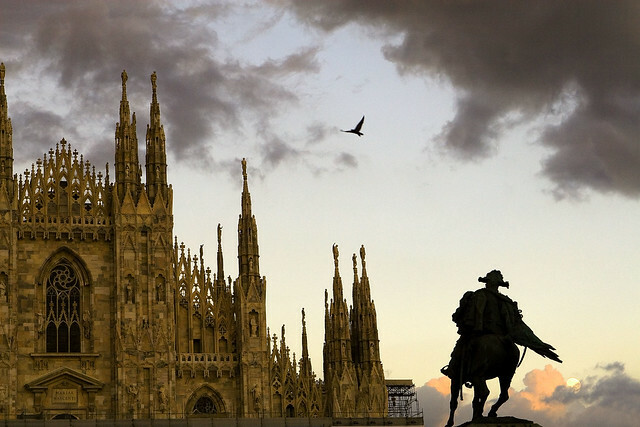 Milan’s most recognizable sight is doubtlessly its stunning Gothic Duomo, the largest cathedral in Italy and staggering in both size and scope. It took over 500 years to build, beginning from the late 14th century to the 1800s, when it was finally completed by order of Napoleon. All it takes is one glance to conjure up visions of the Hunchback of Notre Dame, and with good reason. One of the first and most influential chief engineers of the project was Nicolas de Bonaventure, who imported the French style Rayonnant Gothic from his homeland. 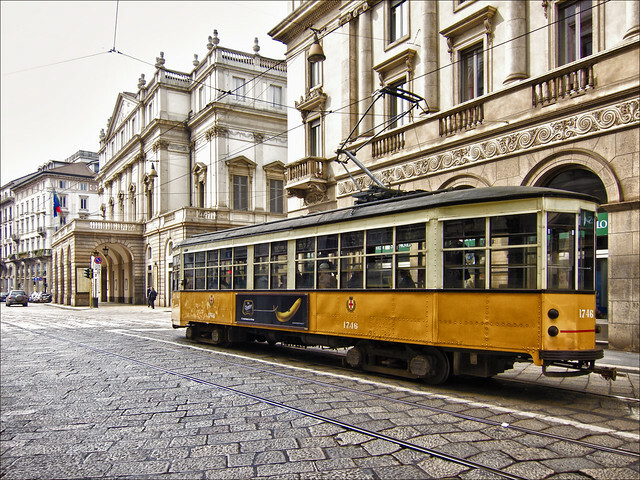 Regardless of whether or not you are a lover of opera, Milan’s sumptuous and iconic theater is worth a visit. Best case scenario, you are able to book tickets for one of their regular season performances and really savor a once-in-a-lifetime evening at La Scala...but even if that scenario doesn’t coincide with your timing or interests, take a guided tour of the stage (dating from 1778), the royal box, the auditorium, and the Ansaldo Workshops, where production artists design and create the scenery and costumes. When Milan was considered little more than a convenient travel hub, if travelers did pause there briefly before moving on, it was to stop and pay homage to Da Vinci’s “The Last Supper”. Just as many visitors to the Mona Lisa are surprised by how small that iconic painting is, so are many visitors to this, one of the most recognized artworks in history, surprised by its relatively modest surroundings in the refectory of Milan’s Santa Maria delle Grazie convent. Though the painting has dramatically deteriorated with time, it is still a mesmerizing and masterful work. These three elegant palazzi are now an exhibition space for modern and contemporary art from the Intesa Sanpaolo banking group collection, spanning from the late 18th century to the present day. The linear modern works contrast interestingly with the sumptuous halls that were once the bank headquarters. 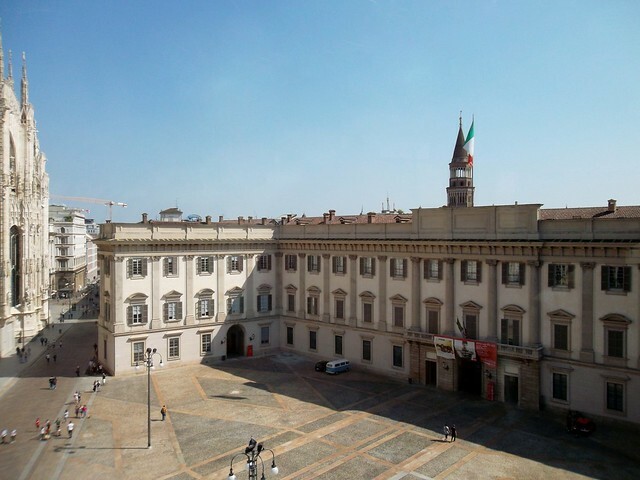 Near the Duomo and in the piazza of the same name, this important museum has a number of excellent exhibitions planned for 2015 to coincide with the millions of visitors expected for the World Expo. Among them, perhaps the most anticipated is the Leonardo Da Vinci show opening in April, the largest in Italy’s history, which will take the place of the Van Gogh exhibit open now through the beginning of March. This former industrial complex was converted to a sprawling contemporary art space just ten years ago with help from the Pirelli tire company foundation, and has spent the past decade making a name for itself for its groundbreaking exhibitions, many of which are created to be site-specific to the venue. The largest contemporary art space in Europe, HangarBiccoca has a permanent exhibition and a number of temporary shows planned for 2015 to coincide with the World Expo. 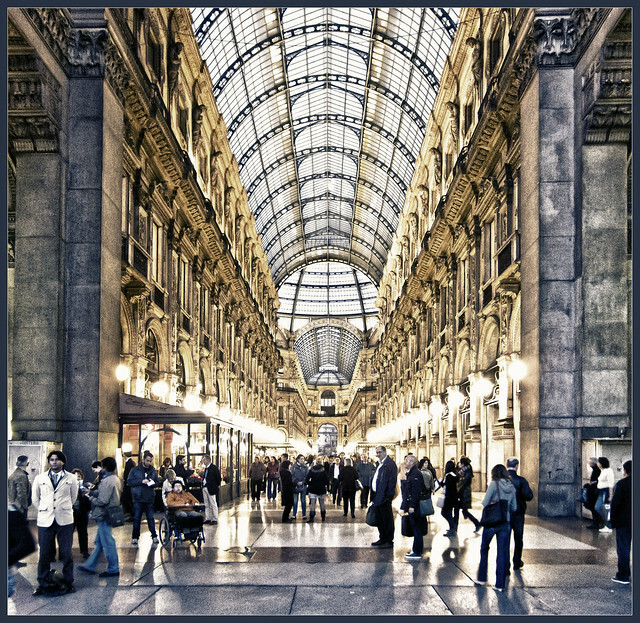 Shopping in Milan is centered almost exclusively around fashion and design, and for a stroll through the boutiques of some of the biggest names on the catwalk all you need to do is explore Milan’s “Golden Rectangle”, the fashion district in the rectangular area including Via della Spiga, Via Manzoni, Via Sant’Andrea, and Via Montenapoleone. Here you can browse names such as Dolce & Gabbana, Prada, Armani, Cavalli, Versace, and Missoni. This historic glass-roofed arcade near the Duomo was opened in 1867, making it one of the world’s oldest shopping malls. The elegant indoor space is home to the Prada flagship store, Gucci and Vuitton boutiques, a number of elegant cafés, and lots and lots of very elegantly dressed shoppers. For less recognized but more alternative fashions, Brera has been the neighborhood of choice for years with its funky boutiques and one-of-a-kind finds. That said, recently the Zona Tortora neighborhood has been giving Brera a run for its money, as a number of cutting edge designers have opened spaces there, and an air of contemporary cool has taken over this former industrial area. Though the Milanese dress impeccably, they have a little secret. They are Italy’s most renowned bargain hunters, and the city is full of designer outlets and used and vintage boutiques where the eagle-eyed fashionista can dress for the runway at a fraction of the cost. There are a number of name brand outlets along Corso Vittorio Emanuele II, and places like Il Salvagente, Dmagazine Outlet, and 10 Corso Como Outlet are treasure troves if you have the patience and courage. Cavalli e Nastri, Memory Lane, and Humana also have great vintage and used collections. Milan is the birthplace of the aperitivo, so if there’s one place in Italy that you should forgo dinner for a leisurely and hip “happy hour”, it’s in this chic city. 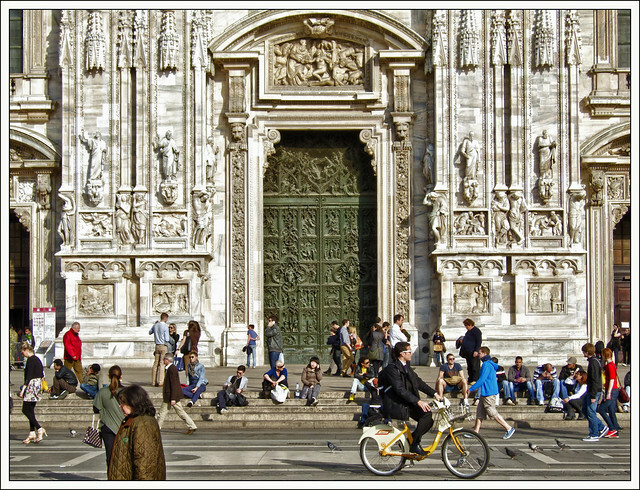 For more classic locations, try the cafés around Piazza Duomo with their Old World style and elegance. For more of a hipster vibe, the alternative Brera district has fun and fashionable cafés shoulder to shoulder with the underground designer boutiques for which the neighborhood is known. 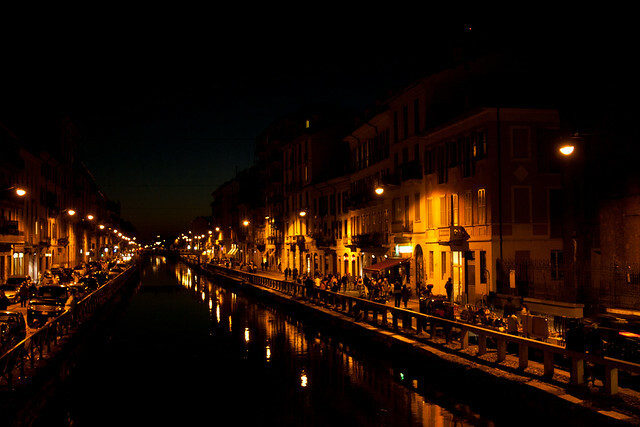 Perhaps one of the prettiest areas of the city is the Navigli district, where the city’s historic canals (yes, Milan has canals) managed by dams designed by Leonardo Da Vinci gives the neighborhood a bit of Venetian charm mixed with Amsterdam cool. Here there are enough cafés, casual restaurants, and late night cocktail bars to keep you entertained for the entire evening. Italy’s most beloved celebrity chef, host of the Italian version of “Masterchef” and “Hell’s Kitchen” and repeatedly Michelin-starred, has two famed restaurants in Milan. The first, Ristorante Cracco, opened in 2007, has two Michelin stars, and serves Italian haute cuisine in its understatedly chic dining room. If you’re very lucky, you’ll be seated at the table with a view into the kitchen where Cracco and his assistants make their magic. Just last year, Cracco opened his more contemporary Carlo e Camilla in Segheria in a former sawmill. Here the designer interior gives one the feeling of dining in an art space, and the food has already earned this new and fashionable eatery much praise.